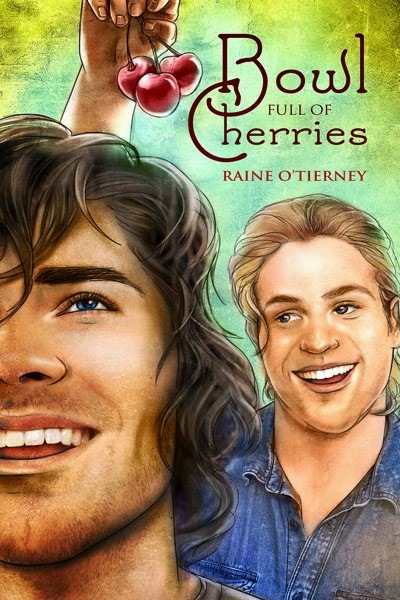 Author Bio: Raine O'Tierney, a passionate believer in what she calls The Sweetness, writes positive stories about first loves, first times, fidelity, forever-endings and.friskiness? When she's not writing, Raine can be found fighting the good fight for intellectual freedom at her library day job. 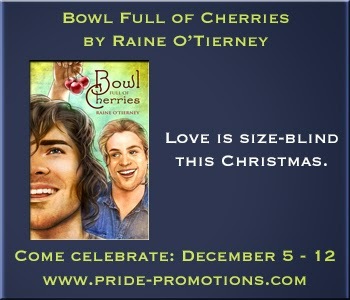 Raine believes the best thing we can do in life is be kind to one another, and she enjoys encouraging fellow writers. She changes sub-genres to suit her mood and believes all good stories end sweetly. 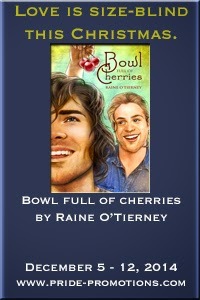 Raine lives outside of Kansas City with her husband, fellow Dreamspinner Press author and sometimes writing partner, Siôn O'Tierney. Contact her if you're interested in talking about point-and-click adventure games or about what kinds dachshunds are the best kinds of dachshunds! Blurb(s): Porker, Fatty, Tons-of-Fun: Crowley Fredericks has heard it all. He’s dropped a lot of weight since his high school days, but he’s still a big guy, and the painful words and bullying follow him. Rejected—again—because of his size, Crowley is starting to think that maybe love just isn’t meant for huskier men. Both sides of my family kept dachshunds and only dachshunds. In our house we only had the one, but my grandparents on my dad’s side sometimes had three and a litter, and the cousins often had two or three each. When we got together at Granny’s house, the dogs formed this amazing, short-legged, long-bodied pack and they ran back and forth and played. All different coat lengths and colors and markings and weights, but dachshunds nonetheless. For a long time I resigned myself to it, even though I was sad. Nothing lasts forever, right? Not even Christmas traditions. But this story has a happy ending. This year, we’re going home for the first time in forever. I’ve been told there will be six dachshunds in all. Not exactly fifteen, but my friends, that’s a dachshund Christmas if ever there was one! Even through the snow, Rell didn’t feel the cold. His face burned with the excitement of escaping the Livery and absconding with his brother’s best friend. He clasped Crowley’s hand, pulling him through the street. They ran and skidded and laughed, moving farther and farther away from the club. Rell knew what Crowley was asking—didn’t even pretend that he didn’t. Stopping, he tugged lightly so Crowley came stumbling up beside him. He twined his arms around Crowley’s waist and held him for a moment, right there in the middle of the sidewalk. “Why are you over-thinking this?” Rell asked, gently cupping the side of Crowley’s face.